Vladimir Batrakov, 45, a retired military officer, enrolled in courses on how to be an Orthodox youth leader because he was disappointed with the lack of young people in church. After receiving his diploma last Friday, he started to work full-time at a Moscow church, where he is supposed to advise young people on religious issues and organize Orthodox youth rallies and other activities. "The main aim is to divert young people from drugs, alcohol and sexual promiscuity," Batrakov said. A second goal is to inform the public about the church's stance on contemporary issues through the youth rallies, he said. Batrakov is one of the first foot soldiers in a campaign by Russian Orthodox Patriarch Kirill to train leaders to create youth groups in every prominent locality nationwide. Religion analysts said the youth groups might be Kirill's attempt to boost his political influence. But some said the project, which is supposed to produce a conglomeration of local groups not linked with one another, might be little more than a publicity stunt by Kirill. A group of newly trained youth leaders made an appearance at the pro-Kremlin youth camp at Lake Seliger this month. Both at the camp and in their churches, the youth leaders are supposed to promote the Ten Commandments, fight "so-called European values” and possibly prepare young people to take to the streets in the name of "national security," youth organizers said. The promise to fight for national security echoes the public activities of established pro-Kremlin youth groups like Nashi, Young Russia and Young Guard — albeit with a religious slant. Kirill first called for church-trained Orthodox youth leaders at a meeting with senior clergy in December. He declared "the moral upbringing" of young people "the priority direction of modern church life" in a society filled with "moral relativism," "all-permeating hedonism," "moral permissiveness" and "the cult of personal success," according to a transcript of the speech published on the church's web site, Patriarchia.ru. The Moscow courses, organized by the Synodal Department for Youth Affairs and the Patriarch's Center for Spiritual Growth of Children and Youth, are a first step toward fulfilling Kirill's call. 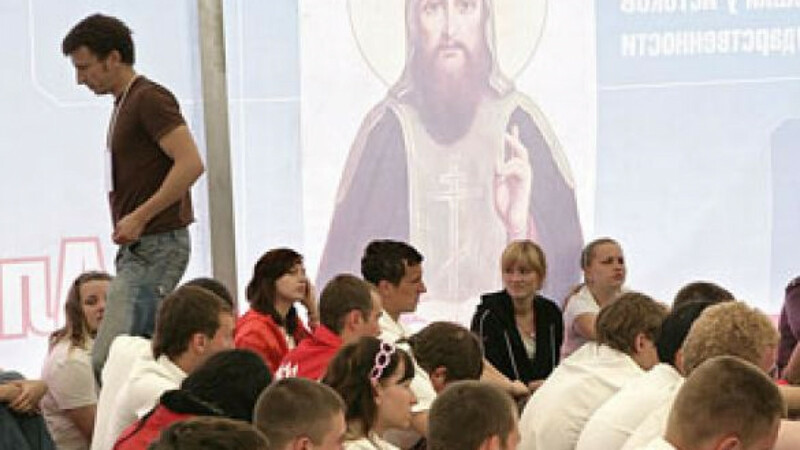 The courses, said Yulia Pavlyuchenkova, deputy head of the Synodal Department for Youth Affairs, will provide future youth leaders with the skills necessary to draw youth away from "so-called European values" promoted through the mass media such as convenience, free love, irresponsibility and egoism, which she said lead young people to drug abuse, alcoholism, promiscuity, early pregnancy and even imprisonment. Pavlyuchenkova said the courses promote "values that are traditional for our Orthodox country such as the Ten Commandments." Yury Belanovsky, deputy head of the Patriarch's Center for the Spiritual Growth of Children and Youth, said many young Russians live without spiritual or moral guidelines. "The youth have become a tidbit for everyone who wants to eat them, be it religious sects or companies that make money on products for young people," Belanovsky said. Some youth leaders will work in churches, advising young people, gathering them to help the needy and organizing activities like rallies, pilgrimages, film discussions and the restoration of historical buildings, Pavlyuchenkova said. Other youth leaders will not be attached to specific churches but will develop projects for the mass media, she said, without elaborating. As part of the course, the future youth leaders attended lectures on "the necessity of street missionary activity" by Boris Yakemenko, leader of the Orthodox wing of the Nashi youth group. Yakemenko said the youth leaders needed to understand that they had to go out onto the streets to find young people, rather than waiting for the them to come to church. "Modern mission has to go beyond the church fence because most people won't go to church and we can't attract them if we don't go to them," Yakemenko told The Moscow Times. Street activities could also include rallies "to attract attention" to social or political issues, such as "a threat to the country's national security or historical heritage," Yakemenko said. The church is financing the training and work of youth leaders with money from parish churches and sponsors. The cost of training a group of 30 to 70 leaders starts at 300,000 rubles ($9,700), Belanovsky said. Pavlyuchenkova said the youth leaders would cooperate with the All-Russian Youth Orthodox Movement by coordinating its work and by covering parishes where it has no representatives. Pavlyuchenkova also said she hoped that Orthodox youth leaders would become a nationwide phenomenon in two years. There are more than 14,000 Orthodox churches in the country, but Pavlyuchenkova could not say whether every one of them will ever get its own youth leader. Religious experts said the church lacks the money to train and pay that many people. Nikolai Mitrokhin, a researcher at the Center for East European Studies at Bremen University and an expert on the finances of the Russian Orthodox Church, said that even though 100 students had enrolled in the first courses, Moscow alone has more than 300 parishes. He also said the church is ideologically split, making it impossible to standardize the ideals promoted to young people in all parishes across the country. Gleb Yakunin, a priest who was defrocked in 1993 for his political activity, agreed that the church could not afford a nationwide youth network and suggested that the patriarch was planning to create a "religious guard" to increase his political clout. "The patriarch may want to join the tandem as an ideological leader," Yakunin said, referring to the ruling duo of President Dmitry Medvedev and Prime Minister Vladimir Putin. "He is offering a national idea that could unite the people and that the authorities have so far failed to find," Yakunin said. Mitrokhin, who once headed the Moscow-based Institute for Religious Studies in the CIS and the Baltic states, dismissed the Orthodox youth group as a PR stunt. "The patriarch is a mass media person who voices ideas for the church's modernization that are in tune with the times," Mitrokhin said. "The state needs variants of Nashi." Two students of the courses, Batrakov and Anna Yevdokimova, 31, a psychologist on maternity leave, said they were eager to take young people to the streets if told to do so. 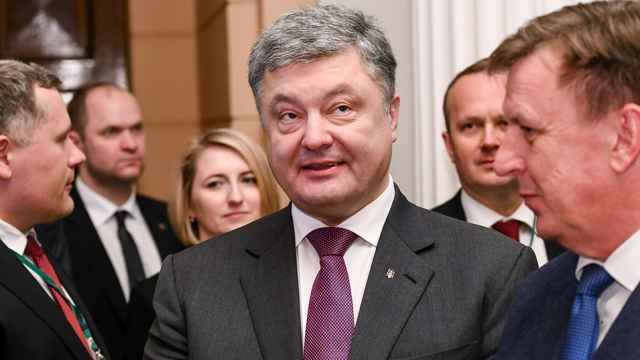 But both Yakemenko and Pavlyuchenkova insisted that rallies were not a priority and that the main emphasis would be placed on social outreach programs and activities like pilgrimages and the restoration of historical buildings. "The goal is to bring up young people who will be active as citizens and who will not be indifferent to the events that happen in our country," Pavlyuchenkova said.